Back at Lombardi’s Seafood Café – 1888 W Fairbanks Ave Winter Park. The premise would seem simple, if you want to eat a great steak go to a steakhouse, if you need an amazing burger go to a burger bar. Conversely, and although there are exceptions, going to a pasta restaurant and expecting to have the best steak meal, is probably as whacky as it sounds. So, when we want the best seafood we obviously go to the best fish and seafood place around Orlando. But let’s go one step further, how about going direct to the supplier of Fresh Fish and Seafood and have it cooked just the way you like it. 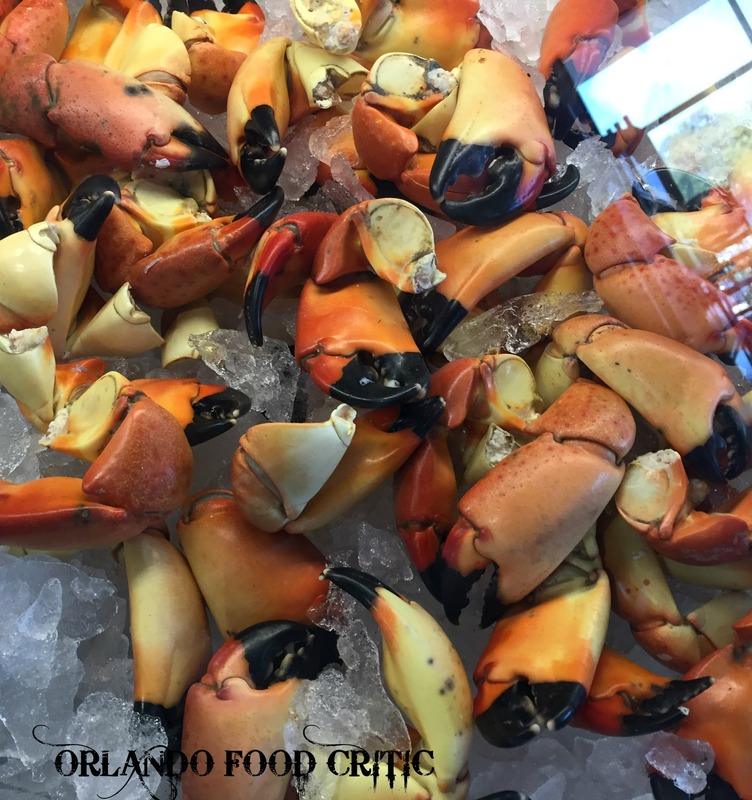 Well, look no further than Lombardi’s Seafood Café, not only do they have the best Fish and Seafood for sale wholesale, and retail in their cavernous Fish Market, they also have one of Winter Park’s best kept secrets, a Seafood Café! The food here is amazing, no frills, just honest to goodness great fresh seafood, cooked to perfection and at a GREAT price point. Getting quality seafood from the Ocean to your table in the shortest amount of time and with the maximum amount of care is the Lombardi tradition. Couple that with letting the seafood speak for itself by not masking the amazing flavors with unnecessary preparations, just seafood cooking at its finest. 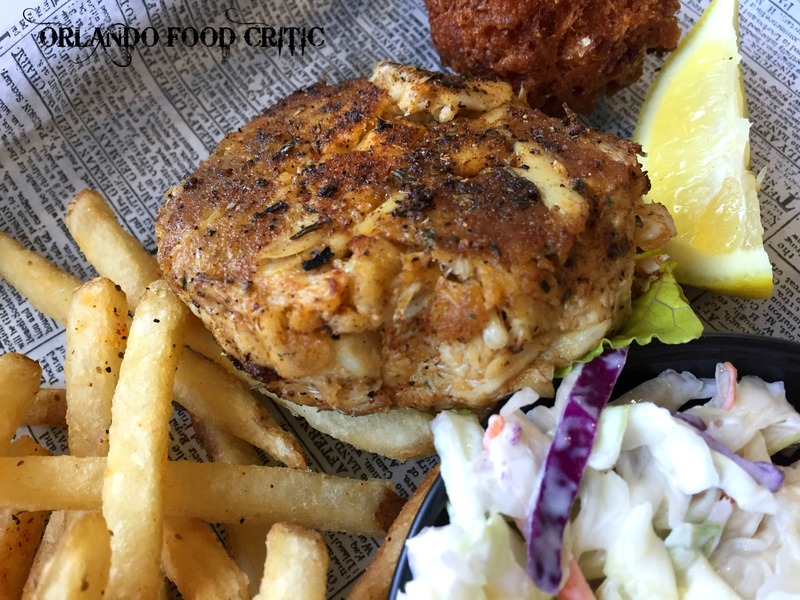 Crab Cake Basket – Cooked to your requirements, either Blackened, Fried or Grilled, this Maryland Crab Cake is superb. We have paid twice the menu price of Lombardi’s crab cake at other restaurants and unfortunately not even come close to this one in terms of flavor and quality. Fish & Chip Basket – A regular favorite of ours, a large fillet of fish, lightly coated with a crisp exterior batter and soft perfectly cooked fish inside. Eat with lashings of malt vinegar and salt. One of the best in Central Florida. Like what you eat? Well you can always drop by the market and take some home to cook yourself. The staff will be delighted to tell you how to best prepare your selection. No time to cook? The full menu is available for take-out. Lombardi’s Seafood Café does not pretend to be high end dining, but what it lacks in this regard is more than compensated by the excellence of their food and the care and attention they take in the preparation of your meal. We have become regular diners, we hope you will be too!